Are you looking for a caretaker role where you can really the results from your work? Do you have a passion for delivering excellent service and want to make a difference to people's lives? Do you want to be part of a company that is going places fast and work alongside a dynamic and social team every day? We've learnt that what's on your CV isn't the be all and end all, it's who you are that we value most. We've built a team of like-minded people, with an average age of 26, to achieve our mission to help people build and enjoy a better life in London; not just for now- forever. 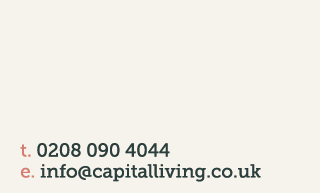 Based in Clapham, Capital Living creates places for people to live where they can achieve their goals and ambitions by providing a safe, smart home within a like-minded community. We started 6 years ago and last year was one of our best years yet, we doubled the size of the team and grew by 45% to revenues of £3m. We have also won several awards and consistently had national press coverage, but there's still a lot more we want to achieve. Our culture is built on constant improvement so we're looking for someone who has an open mind and passion for personal and professional growth. We want you to help us grow from £3m to £12m revenue in the next three years to achieve our ambitious and exciting company vision. If you're looking for a challenge and a change to really contribute to a successful team that's making a difference to people's lives, then you're in the right place... We'd love to hear from you so contact us now! You must be able to drive, have experience living in a shared house, at uni or otherwise, and have English as your native language. Please send us your CV outlining your personal qualities and professional experience. If Capital Living sounds like a place you would like to come to develop your career and you have what we are looking for then write us a short note and we'll get back to you within 24 working hours. Throughout my 30+ years in the industry I have never worked for a more welcoming and accommodating company than Capital Living. Their personal approach to business means they treat each member like part of their team, making every job a joy to do. 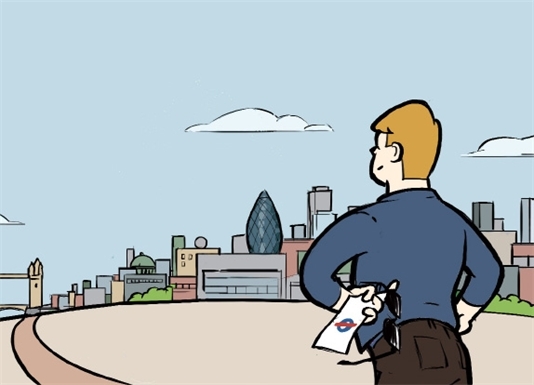 It is a privilege to maintain the reliable service and dedication to clients that they provide, and a pleasure to help uphold Capital Living's outstanding reputation.